For Baselworld 2018 Breguet is set to add to its Grandes Complications line with the Classique Tourbillon Extra-Plat Automatique 5367. It is a classic automatic tourbillon watch featuring a pure and refined “grand feu” enamel dial. Grand feu, which translates as “great fire” or “big fire” is an enameling technique in which enamel substrates (glass particles) are placed on a metal dish and fired multiple times in temperatures of up to 1,000 degrees Celsius. It is a painstaking technique. Chemicals are added to create colors. Breguet is one of the few watch brands that uses the technique to create pure white dials that are unmatched using other methods and materials. The watch provides a simple interpretation of the tourbillon with a titanium carriage and a small seconds display mounted at 5 o’clock on a dial that was deliberately paired down in order to focus on this complication. To bring even more attention to the tourbillon, the watch brand placed a graphic hand-beveled tourbillon bar topped by a spinel. Blue Breguet hands are contrasted with the whiteness of the traditional enamel. Unlike its predecessor, the reference 5377 introduced in 2013, the 2018 edition has no power-reserve indicator, again bringing all of the focus to the toubillon. The chapter ring with Breguet Arabic numerals is off-centered at 11 o’clock directly facing the tourbillon at 5 o’clock. This type of display is reminiscent of the watches created by Abraham-Louis Breguet—the founder of the watchmaking company and inventor of the tourbillon regulator. 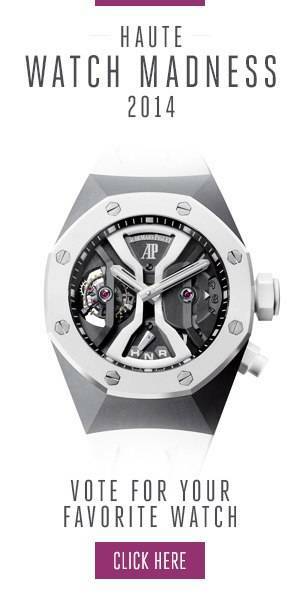 The watch is powered by the Caliber 581 movement with an 80-hour power reserve. A patented “high-energy” barrel increases the number of coils for its spring which produces increased energy storage. The bridges, barrel and oscillating weight are hand-engraved, with the latter crafted in platinum. The understated and refined watch with the richly decorated movement measures 42 mm with a thickness of only 7.45 mm. It is available in rose gold or platinum and it can be fitted with a mahogany brown or blue alligator strap.